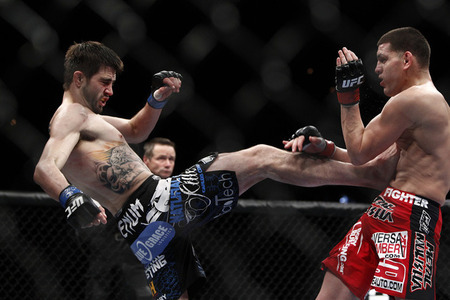 ALar’s UFC 154 Preview: He’s Baaaaaaaaaackkk! Dana White can utter just two tiny words to sell Saturday night’s UFC 154 Pay Per View to the masses: “He’s Back.” Saturday night in Montreal, Welterweight Champion Georges St. Pierre returns to the cage for the first time since April 2011. Since wrecking his ACL prior to UFC 137, GSP has watched from the sidelines as the 170 pounders became one of the deepest and most talent rich divisions in the UFC. Of all the talented contenders that came to prominence in GSP’s absence, Carlos Condit rose above the likes of Shields, Ellenberger, Fitch, and Hendricks to become the Interim Welterweight Champion. After Condit “defeated” Nick Diaz at UFC 143 and earned the interim strap, he elected to not defend his belt against a new challenger, but instead wait until GSP was healthy to unify their respective titles. Combine the decision to wait for GSP and the Greg Jackson fueled game plan Carlos used against Diaz, “The Natural Born Killer” hasn’t exactly become a fan favorite over the last eight months or so. The guy has the personality of freshly hung drywall, so don’t expect to be hearing too many cheers for Carlos when fight night rolls around. 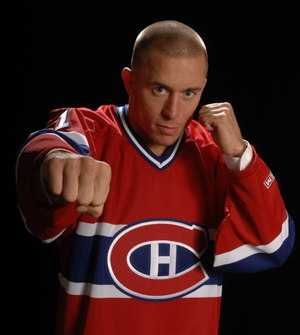 Also remember to note that GSP approaches Bieber levels of popularity in Canada, especially in his native Montreal. The guy has been elected as Canada’s top athlete at least three times by Rogers Sportsnet (A.K.A. Canuck ESPN). The crazy Canadian’s have been awaiting the return of GSP as eagerly as a starving pitbull awaits a juicy T-Bone. With St. Pierre back in the sport, the UFC gets back its largest PPV draw and the organization is hoping that UFC 154 can do big numbers in a year that was ravaged by injury. The fights on the undercard show serious promise, but the true draw here is a motivated and focused Georges St. Pierre looking to reclaim his seat atop the Welterweight throne. Throwing Mark Hominick in the cage is one heck of a way to start a show in Canada. He became a favorite son of the nation when he scrapped to the final bell with the lethal Brazilian Champ Jose Aldo at UFC 129 in Toronto. I really thought Hominick was going to remain a top contender for years to come after that battle, but he has fallen on some hard times in the cage. A flash KO loss to the Korean Zombie and an odd decision loss to Eddie Yagin have derailed Mark’s rematch aspirations. Even though Garza has some slick submission skills, Hominick will get back to his winning ways in front of the home crowd. Hominick by unanimous decision. Two top-level strikers with iron chins as the second fight of the night? Sign me up! Looking back, intentional or not, I have watched Costa’s last four fights and he is quickly climbing up my entertaining brawler rankings. The guy has torpedoes attached to each of his wrists and can throw haymakers at will. If you hit Phillippou, he will simply smile and come right back at you ten times harder. He had a Hulk moment in his last scrap that left me scared for his opponent’s well being. It was AWESOME! Ring is a heck of striker with a serious Muay Thai and Boxing pedigree, but I don’t know if his will is as strong as Costa’s. There is no doubt this bout will be an early candidate for Fight of the Night. Costa takes an entertaining decision win here. Phillippou by unanimous decision. The Frenchman Carmont is a heavy favorite in this one. The Tristar product was a relative unknown on the European circuit for the early part of the decade, but has rattled off 8 wins in a row and finds himself nearly in the proverbial “mix” in the UFC. He is facing off against the outlandish being that is Tom Lawlor. Lawlor has gained a cult following for his impersonations of somewhat forgetful fighters in combat sports history. Lawlor may be a case of when character outshines talent (see Tebow, Tim. ), as he has failed to impress against top-level competition in the Octagon. Carmont will use his experience advantage to catch the charismatic Lawlor in a bad position. Carmont by submission. Ever heard of those things called carbs Francis? 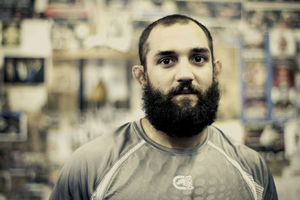 Let’s get this out of the way early; Johny Hendricks has the best beard in the sport. Straight gnarliness growing from the guy’s chin, but I digress… This welterweight tilt is likely a step towards a title shot for either of these fighters. With a win, Hendricks should absolutely (one of Dana White’s favorite buzzwords…) be next in line for a shot at the strap. 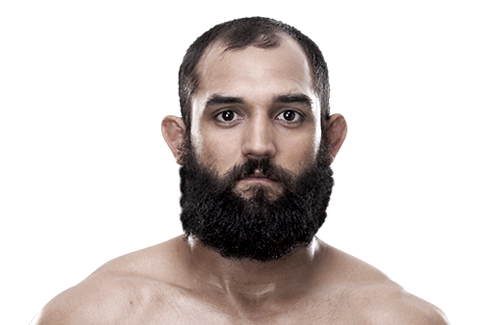 I see Johny Hendricks as having the edge in this one, and the wise guys in Vegas agree with me. Hendricks has the wrestling base to tangle with absolutely anyone in the division and has a gargantuan grenade for a left hand (ask Jon Fitch about that one…). On the other side of the cage will be Martin Kampmann, who has been the comeback kid as of late. He looked like he was down and out against Alves and Ellenberger, but managed to maintain his composure which allowed him to comeback and earn stoppage victories. Some people may not give Kampmann the credit he deserves because of the early beatings he took, but hey, a win is a win in my book. 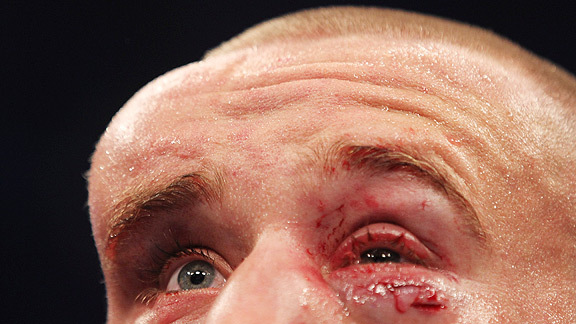 Though, I simply do not see Kampmann being able to fall back on his patented comeback routine on Saturday. Hendricks has been thrust in an out of the title picture for the better part of a year now, and no one, even Martin Kampmann, is getting in the way of Johny’s beard and a title shot. Hendricks by KO. How can we expect GSP to return from a serious knee injury and assert the same amount of dominance he has for the last half decade? Let’s look at Adrian Peterson as a parallel for St. Pierre’s comeback. Peterson is as electrifying of an NFL running back as we have seen since Barry Sanders retired. Last December, Peterson’s knee EXPLODED (similarly to St. Pierre’s) against the Redskins and many pundits thought he would miss this season entirely. Fast forward to Week 1 this year, just 8 months after AD’s knee went kablooey, Peterson was in full pads and in the starting line-up for the Vikings. And what did he do that first week? Score two touchdowns. As of today, Peterson is leading the league in rushing just 8 months after tearing his MCL and ACL… Peterson and GSP are similiar in the sense that they are at the highest levels of natural athleticism in their respective sports. Simply put, they both are genetic freaks. Factor in each guy’s devotion to fitness and condition, and you have the recipe for injuries healing in time that only Wolverine could fathom. As Adrian is back to destroying linebackers on Sundays, I expect Georges to be at full strength when he steps in the cage Saturday. 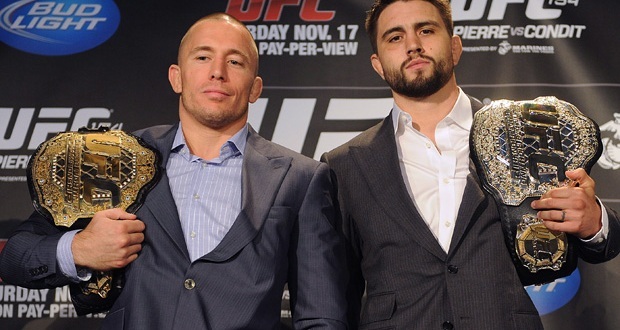 In my humble opinion, Condit is the toughest fighter GSP has faced since his last scrap with BJ Penn in 2009. Carlos is a precision striker with a gas tank that doesn’t seem to empty. 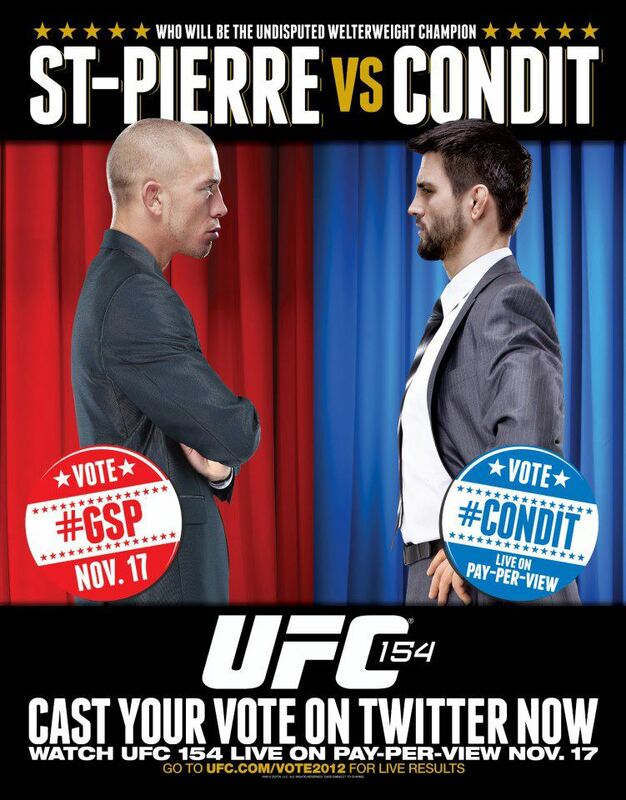 Though, for every positive that Condit has in his game, St. Pierre has an answer for it. St. Pierre can keep distance with his jab, stuff a takedown from anywhere, and slam opponents to the ground with unrelenting force. Condit won’t able to keep his distance from Georges as he did with Nick Diaz, because GSP has the ability to grab hold of Condit and chuck him to the mat like a ragdoll (see Alves, Thiago) Condit hasn’t encountered anyone with the mat skills that St. Pierre possesses, therefore dominant positions will come early and often for the true Welterweight Champion. St. Pierre has admitted to not having the same fire he had in his early UFC days, and it showed with rather drab performances against Josh Koscheck and Jake Shields, leading to fan backlash about GSP’s finishing ability. St. Pierre is more motivated than ever to prove he has not lost a step and can finish anyone in the division. I expect a heck of a show from GSP on Saturday and predict he will triumphantly return to the Welterweight throne that his rightfully his. GSP by submission. 4th round. Expect plenty of shirtless antics from GSP after he raises his hand in victory. Stay tuned to our Twitter account, @MoaiMartialArts! we are planning on live tweeting the event on Saturday. You can expect irreverent humor, top notch analysis, and up to the minute results! This entry was posted in Commentary, MMA, Opinion and tagged Carlos Condit, GSP, Johny Hendricks beard, UFC 154. Bookmark the permalink.